Well done to Gordy Graham, Tommy Holm, Graham MacIver, Douglas Ross and Malcolm MacDonald on taking part in the Black Isle Show’s Tractor Pull, raising money for Black Isle Cares. The 5 men made it into the semi-finals, they’ve definitely been eating their porridge in the mornings! Good job folks and thank you from all at Black Isle Cares. Come and see Black Isle Cares at our stall. “We deliver MoW three days a week. An average of 29 meals per day – that’s 87 meals per week. On average our volunteers spend conservatively 9 hours/ day talking and preparing food. Let me add that up for you. 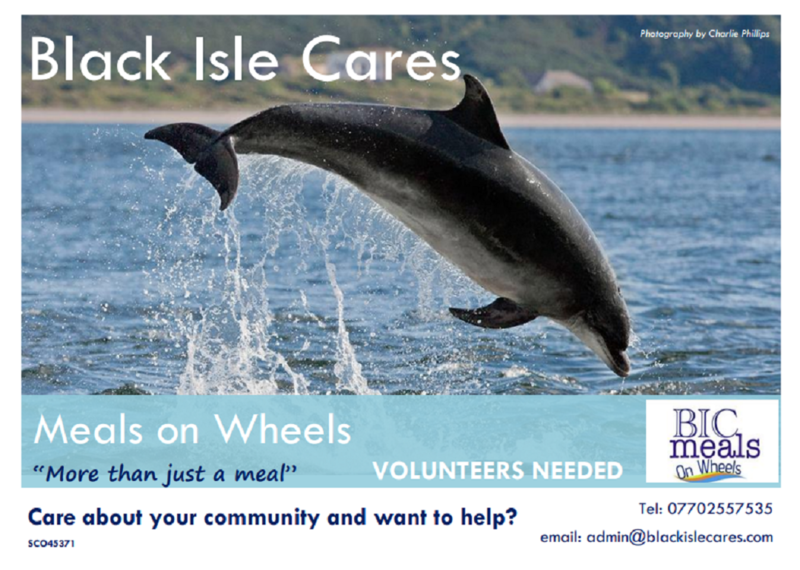 Your charity – BLACK ISLE CARES – has delivered around 4350 meals over the last year. And here’s something that we didn’t consider when we were starting out: we have also delivered 1350 hours of volunteering over the year. “Over the last year we have carried out approximately 17,300 hours of care to the service users – on average 360 hours of care per week. As numbers of service users decrease, new clients come on board. As of March, we are sitting with 30 service users. We have care going on in Culbokie, Munlochy /Tore, Avoch, Fortrose and Rosemarkie. We have now met all the unmet needs from NHS so therefore no-one is waiting to receive care as far as BIC are concerned. Thank you to everyone who came and well done to everyone involved in making Black Isle Cares do it’s best work for the elderly in the community.